His action was a hollow gesture, a replication of another’s idea. And so, in his case, the copy is not of the same value as the original. Maybe James’ action is not actually hollow and has indeed revealed his existing tenderness. The irritation he now feels is due to the still problematic nature of his feelings, suddenly and annoyingly exposed. Which explanation is it? I’m not entirely sure. I’m inclined to say it is both. 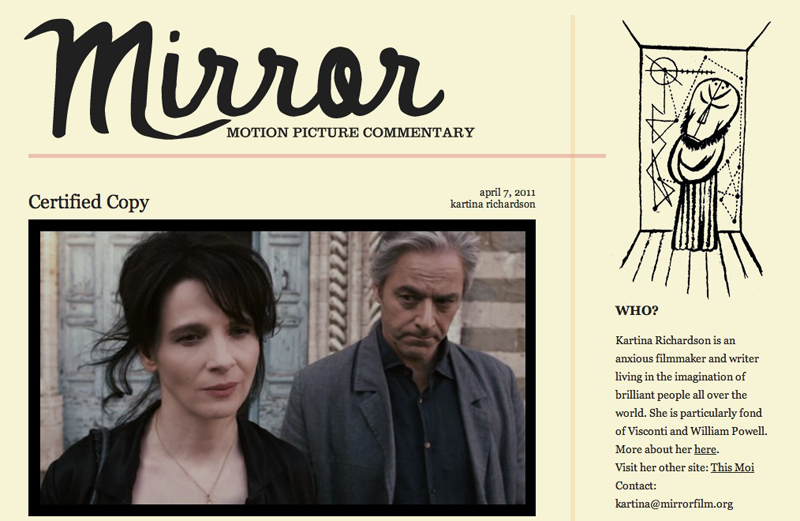 Either way, realizing the ways in which it can be used against him, we see James edging further away from his theory throughout the day, as Binoche, seeing how it can work for her, begins to see value in copies. Perhaps a copy can be just as good, just as real as the original. Like a new copy of an old relationship.